Selina Albright, is the daughter of jazz saxophonist and multi-instrumentalist Gerald Albright. She is not trading in on her daddy’s fame. Selina is a sassy young lady with a rich deep tone that puts you in a space of smokey dark New York jazz clubs. 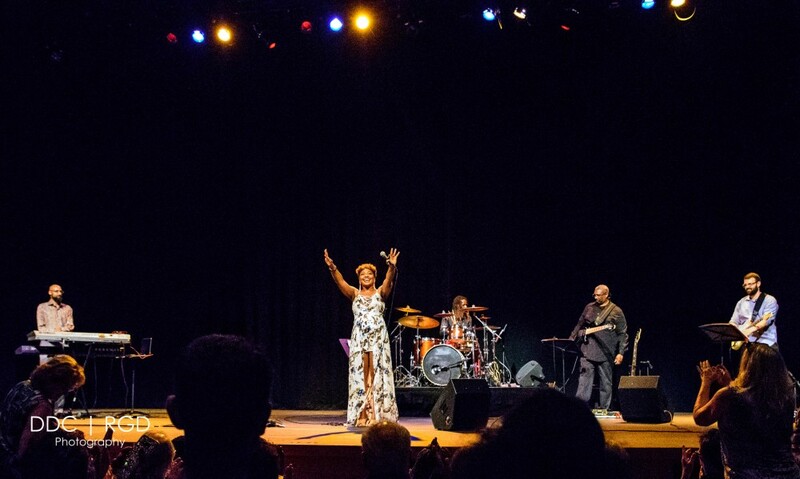 She has been touring with some well-known jazz artists like Dave Koz and Norman Brown. Now she’s doing it on her own. She has a warm soul that loves the people. Joking about how she likes to eat, she sang a song entitled “Eat Something” off of her Conversations cd. Also check out her ep Brighter.